The aim of this blog is to provide you with 6 great tips for your Engagement session. We have included what we believe to be important advice and things to consider such as, location, clothing, hair and makeup and other tips. All of the information included will help your session run smoothly and ensure that we are able to produce some wonderful imagery that you can have and hold forever. 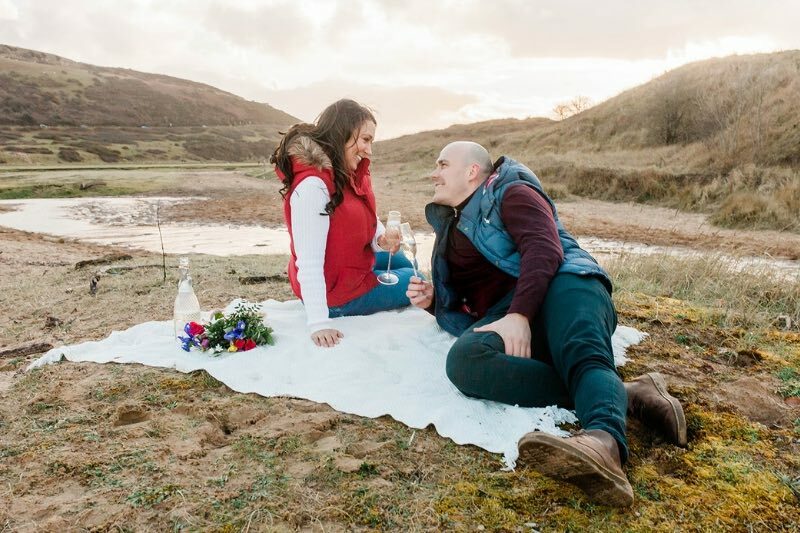 When you think of your engagement session what do you visualise? An open field? Urban brick? A weeping willow tree? What is it that you feel suits the two of you the most? 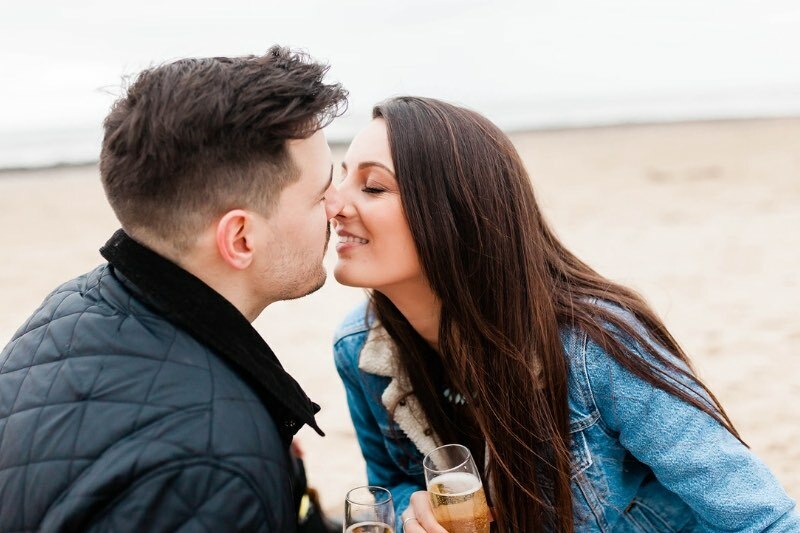 Are there any special locations that might be ideal for your engagement shoot? If not, don’t fret! It is not about where you are but who you are with. A lot of couples leave the location up to us which means we get to scope out spots ahead of time. The way we shoot the focus is on you and your beautiful faces, not the background. However, if there is a place that is special to you, or you would like to include a family heirloom, a pet or something else that is meaningful we would love to incorporate this into your images! Don’t feel like you need to go on a mega shopping spree for your engagement session (but if you do more power to you) We want you to be comfortable, we want you to connect with your images. So if you are a jeans and t-shirt kinda girl, then rock it on with full colour. Our couple often bring an outfit change to their session. Most choose for a dressier option (eg: a flowy maxi dress) and a casual option (eg: jeans and a blouse) We have made a little Pinterest board for inspiration but are always open for chat wardrobe. Don’t feel that you have to opt for plain classics the entire time. Have fun with colour texture and a variety of styles! This is all so you can remember this special time in your lives, so why hold back! We cannot stress this enough girls, really! Professional hair and makeup make a world of difference. As photographers it excites us to know our girls are spending the day getting pampered before a session. It allows you to relax, feel beautiful and confident! There is nothing like a set of lashes to bring out your inner model. Consider using this time as a test run with your makeup artist and use your session as a time to evaluate your wedding day look and how it will photograph. Ladies, if you can swing it please consider getting your hair and makeup done for your session! We promise you it will make a world of difference and you will look and feel absolutely gorgeous. Oh, and we are right here if you need any recommendations! Timing is everything for your session. As natural light photographers we plan sessions around the lighting of the day. We usually begin them 90 minutes prior to sunset, which will allow for an outfit and location change while shooting in golden hour. Being on time means we do not cut into your session time. Once the sun goes down there isn’t much we can do, so staying on track with timing and lighting is the best way to ensure gorgeous images. This also means that at times we may have to reschedule your session due to the weather. This is the whole reason you chose your photographer, right? Because they know the best lighting, the best poses and the best techniques to make you both look and feel like supermodels! Now its time for you to take a deep breath and trust the person you chose to work with you. The more trust you place in us the more free we will be to create the images you will love. You may initially feel uncomfortable and awkward but in-between those moments come little gems of authentic interactions that can only happen when two people really are in love. Relinquish the control, give trust out freely and let go of your expectations. Have Fun! This is such an exciting time in your lives. We know that engagement sessions can seem nerve wrecking but it’s important to go in with an open mind and the ability to laugh. We want you to flirt your brains out, love each other and just have fun, we might even finish the session with a bottle of champagne and we promise that you will love these beautiful images for years to come. Engagement sessions are the perfect time to hang out with your photographer, get comfortable in front of the camera and flirt with your soon to be spouse! What more could a girl ask for? Older PostWedding Day Preparation is not just for Brides!